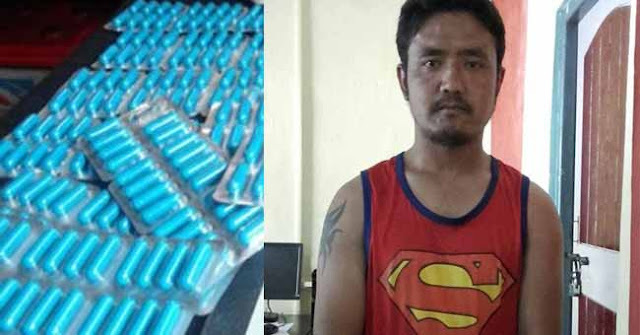 A case of recovery of contraband substances has been registered at Rangpo PS vide FIR no 59/2016 dated 18/10/16 u/s 7 (a)(b)/9 (d)/14 of SADA 2006, against accused Roshan Rai @ Lucky Ali of Burtuk Gtk, E.SKM. Brief of the case is that today at about 11.15 am the above named accused person was intercepted at Rangpo CP and recovered and seized 78 capsules of SP. The accused person was traveling on Siliguri Gangtok bound private passenger bus/Apsara. No WB73C/0418. Further, though it was meagre catch but he is a habitual peddler and was involved in SADA case at Sadar PS in several occasions.